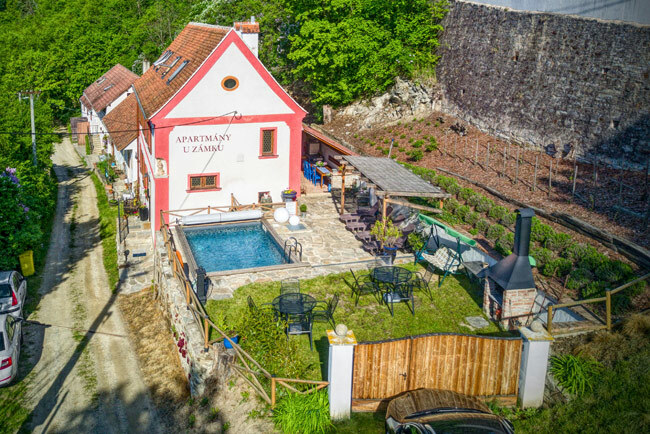 "U ZÁMKU“ GUESTHOUSE – an extraordinary ACCOMMODATION IN PODYJÍ, VRANOV NAD DYJÍ, close to Vranov dam and the city of ZNOJMO. The Guesthouse, a renovated baroque building, is situated near VRANOV NAD DYJI State Chateau in the PODYJÍ NATIONAL PARK. The reconstruction of this building was rewarded in the survey „Dobrý skutek pro Podyjí 2013“, organized by National Park administration office, for reconstruction respecting the cultural value of the building. Our guesthouse offers luxurious rooms surrounded by the stunning beauty of the castle forest park. Apartments with the castle view come up to 50 m2. Every vacation apartment has its own style, is decorated with antique furniture. The kitchenette and bathroom are at your disposal. During the considerate reconstruction the original vaults were preserved. 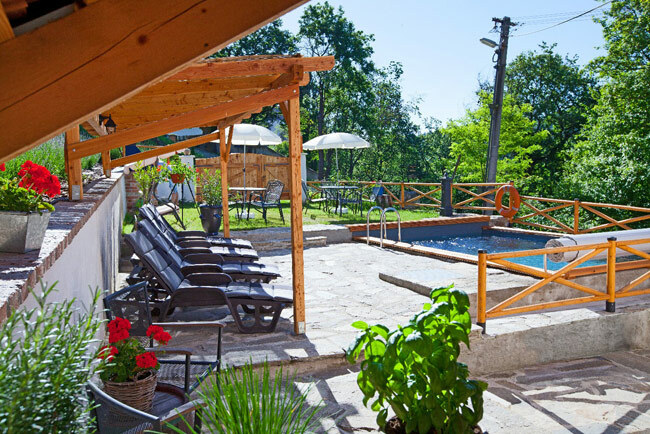 You can enjoy our salt-waterSWIMMING POOL, garden and summer kitchen with grill facilities. Cycling lovers will surely welcome our BICYCLE STORAGE and cyclepath brochures – for free of course. The Vacation apartments "U Zámku“ have their own parking spaces. Wireless internet connection (WIFI) in every room. 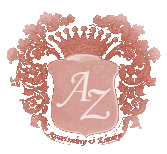 Price for a bed STARTS AT CZK 350 PER PERSON/NIGHT. Our services include MORAVIAN WINES TASTINGS in the chateau cellar, day or night BOAT TRIPS on the Vranov dam (wine tasting also possible) or we can recommend some interesting spots nearby. Simply you should experience our guesthouse yourself to make sure that our accommodation, services make our guesthouse a very attractive place. 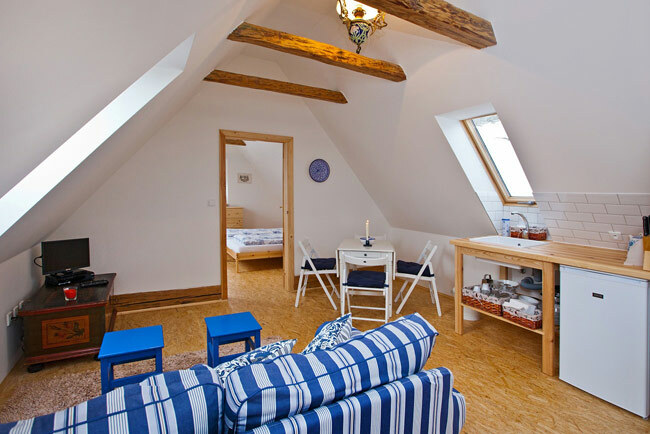 And what’s more the prices of the rooms are very friendly for such a location as unique as Vranov nad Dyjí is. 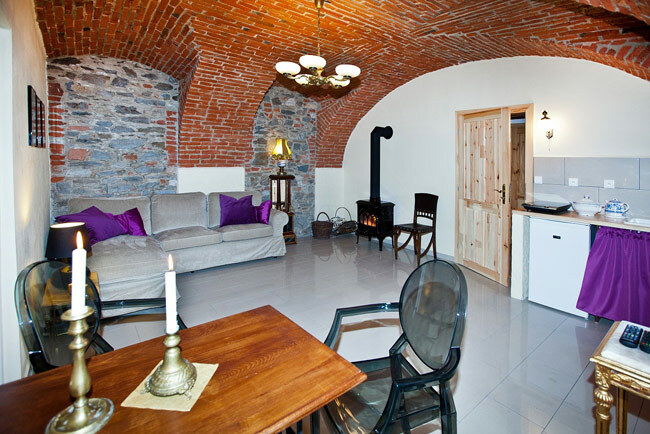 If you decide to spend a couple of days in the picturesque historical town Znojmo, we would be happy to welcome you to our Guesthouse "U Mikuláše" that is set in a very calm and magical part of Znojmo's old town. 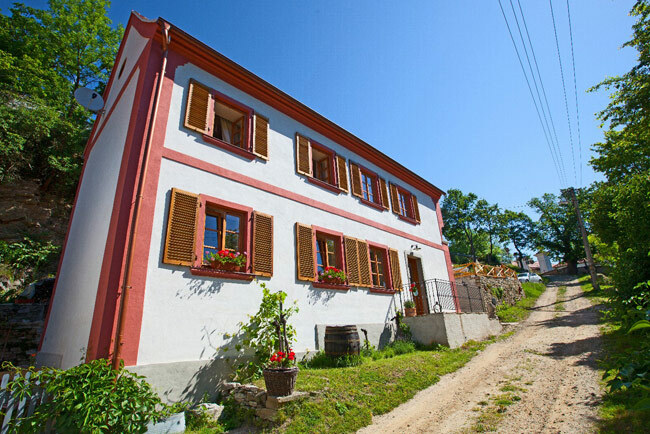 Biking trails and tourist routes through Vranov and Znojmo area are near both of our guest houses.